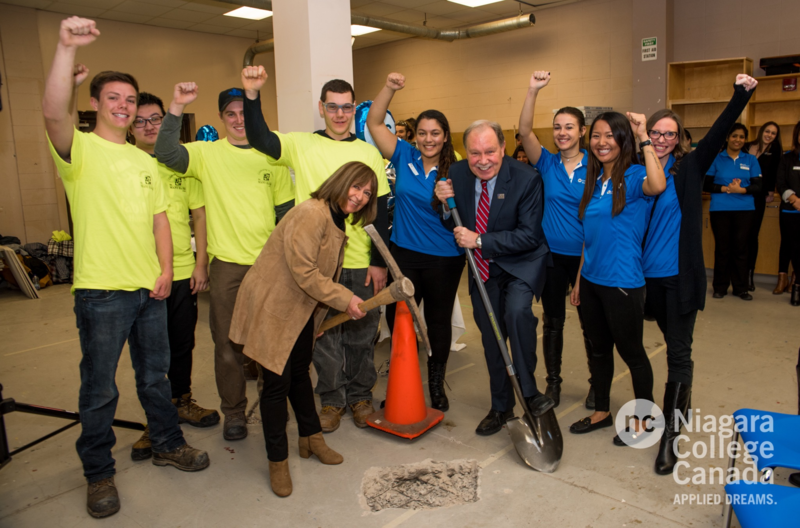 The Many Hands Project, now in its twentieth year, is a student driven renovation program that brings together students from Niagara College’s Event Management and Construction Renovation Technician program. This year the program has selected Hotel Dieu Shaver, a specialty healthcare facility focused on rehabilitation, complex care and geriatric services, as the recipient of its efforts. The 31 event management students have already begun researching and planning March and April events and have made plans to connect with and engage community partners and contacts to begin the fundraising. Any funds not needed for the specific project will be put towards Hotel Dieu Shaver’s needed items wish list. The construction students have also been making plans, developing floorplans and creating materials lists. “They will begin construction January 13 with a groundbreaking with the intent to move towards a reveal of the project on April 12,” says Nitta. She says the project is a way for students to apply what they are learning, and to give back to the community in a concrete way. The Many Hands Project is currently seeking community partners and contributions to support the effort. Nitta says the construction students will require significant materials and community support to make this 20th anniversary project a reality. For more information, visit https://manyhandsproject.wordpress.com.